ATLANTA -- Most centenarians would be on the sidelines. Not Sid Cojac. 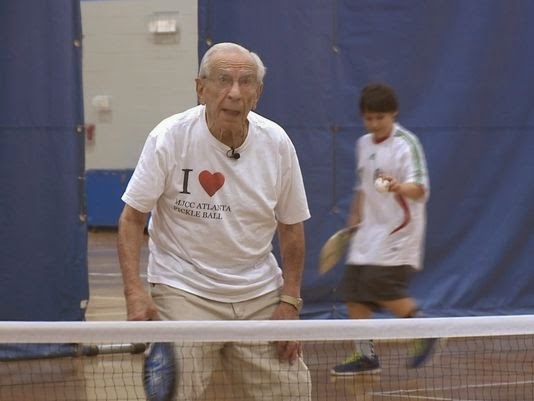 The 100-year-old man is on the pickleball court twice a week. In fact, Sid brought his favorite sport to the Marcus Jewish Community Center a few years ago. "I had a devil of a time getting it started," he said. No one had heard of it. Now 100 members have the same enthusiasm for a sport that's a bit tennis, table tennis and badminton all in one. And no, there is no pickle. While the game is popular with seniors, interest crosses generations.